RTI and formative assessment have the potential to positively impact student achievement. 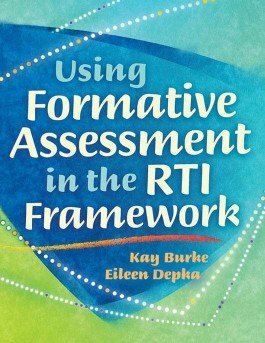 Understand the basics of RTI and its connection to formative assessment, and base instructional decisions on the results of effective formative assessment practices. Learn how to adjust instruction to increase levels of student understanding and achievement with the information, tools, and techniques presented in this practical guide. Acquire numerous examples of formative assessment tools, most of which can be used for any subject. Gain tools that help students self-assess their social skills and behavior patterns so they become more aware of how their actions affect their academic achievement. Find a four-step, systematic approach to data collection and analysis plus a variety of data collection and display methods.